Zenario offers you a quick method to add CSS classes to both a page and a layout. Simply follow these guidelines. To add your own CSS class to a content item follow these steps. 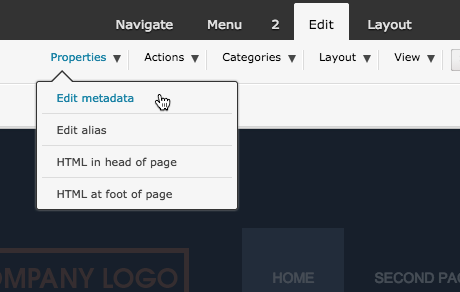 Under the "Edit" tab of your page go to "Properties" and then click on "Edit metadata"
A floating admin box will appear. 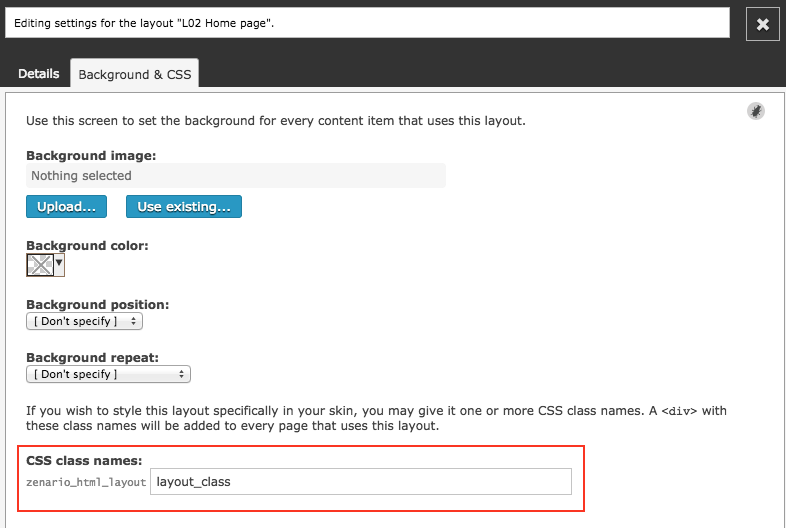 Click on the "Background & CSS" tab and at the bottom is a field to add your own class name. If you want to add a CSS class to a layout a very similar method is used. Go to the "Layout" tab on the front-end and click on "Change skin". Again go to the "Background & CSS" tab. At the bottom of the box there is a field to your classes. 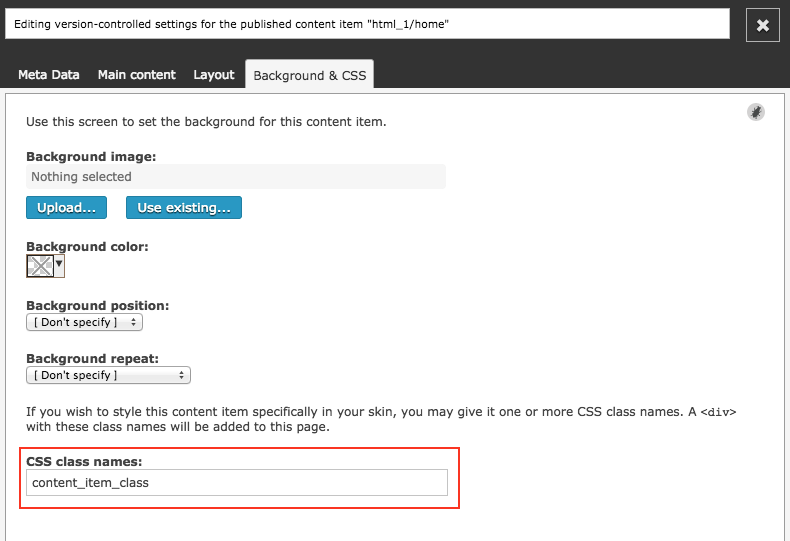 You can now add CSS classes to content items and layouts.